2006-03-19 - Bird Road, South Adair CO, KY - Photo Linda Waggener. 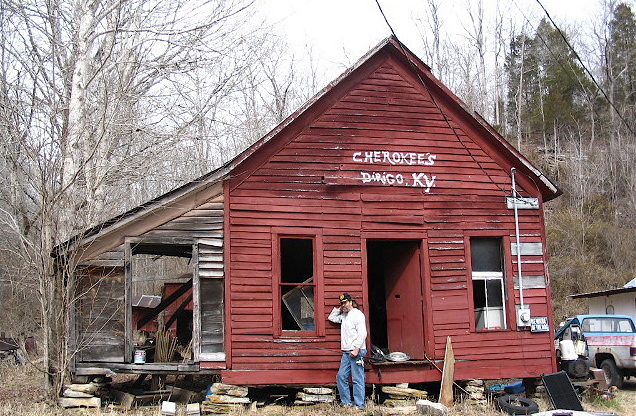 Cherokee stands in front of the central building in his one-man town of Dirigo. The decorated Vietnam vet bought the whole town 20 years ago, after reading a flyer.